SRI VENKATESWARA EDUCATIONAL AND HEALTH RURAL DEVELOPMENT SOCIETY is located in VIJAYAPURA Karnataka . SRI VENKATESWARA EDUCATIONAL AND HEALTH RURAL DEVELOPMENT SOCIETY is registered as a Society at ANANTAPUR of state Karnataka with Ngo unique registration ID 'KA/2011/0040733' . 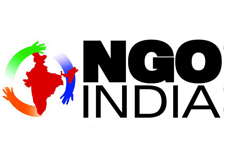 The NGO registration is done by Sub-Registrar with registration number 88/1996 on the date of 29-01-1996, Its parent ORganaisation is SRI VENKATESWARA EDUCATIONAL AND HEALTH RURAL DEVELOPMENT SOCIETY. The Chairman of SRI VENKATESWARA EDUCATIONAL AND HEALTH RURAL DEVELOPMENT SOCIETY is INDIRAMMA and Chief functionary officer is K BASAVARAJU. Promoters are RANGAPPA, NOORULLA, NANJUNDAPPA P,NAGARAJU P.